PRICE REDUCED FOR BUYER TO MAKE FINAL UPDATES! 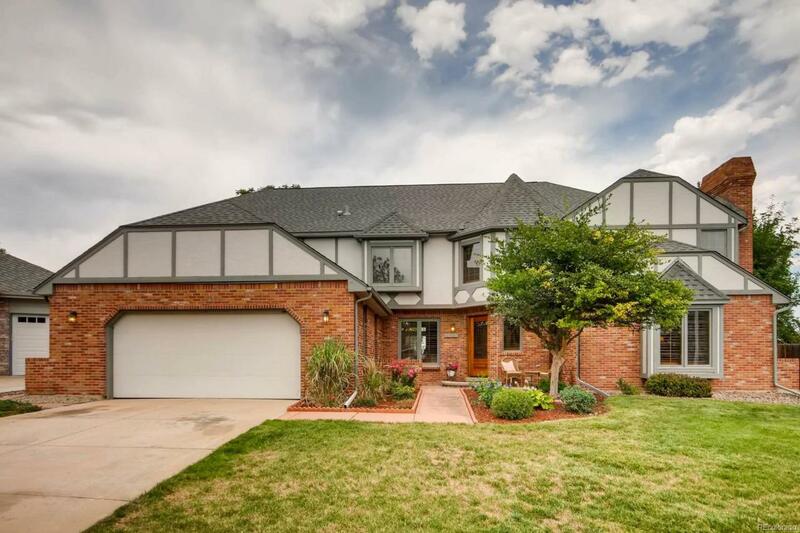 Rare opportunity to own a timeless classic in coveted Arapahoe Estates. Home sits on a quiet cul-d-sac & backs to a greenbelt & walking/biking path at Chapel Hill Memorial Park. Enter custom leaded-glass door to vaulted entry. Notice soaring vaulted ceilings & high windows that flood the home with natural light. Gorgeous custom woodwork & elegant formal living & dining room. This home is truly one-of-a-kind. Spacious kitchen with island, gas cook top, granite, cherry cabs, walk-in pantry. Great room includes breakfast nook & family room. Main level bedroom can be office/entertainment area. Master suite is a private retreat with cathedral ceilings. Extensive remodeling, hardwoods throughout, cozy upper loft, plantation shutters, 2 fireplaces, over-sized garage, basement ready to finish per buyer specifications, new roof. Backyard gate leads to open space. Near DTC, Southglenn, Highline Canal, South Suburban parks & Littleton Public Schools.